Home Pladask Elektrisk Kniv / Rattlesnake Cable Company Give Away Reminder! Man.. oh man, I’ve been sick as a dog, but needed to get this post out. As soon as I’m done, I’m going down for the count. I wanted to remind everyone that the Pladask Elektrisk Kniv / Rattlesnake Cable Company Give Away is still happening. People are very interested in the KNIV, and it should be a no brainer! It’s incredibly useful with a lot of interesting possibilities for creating something unique. A utilitarian Swiss Army Knife. 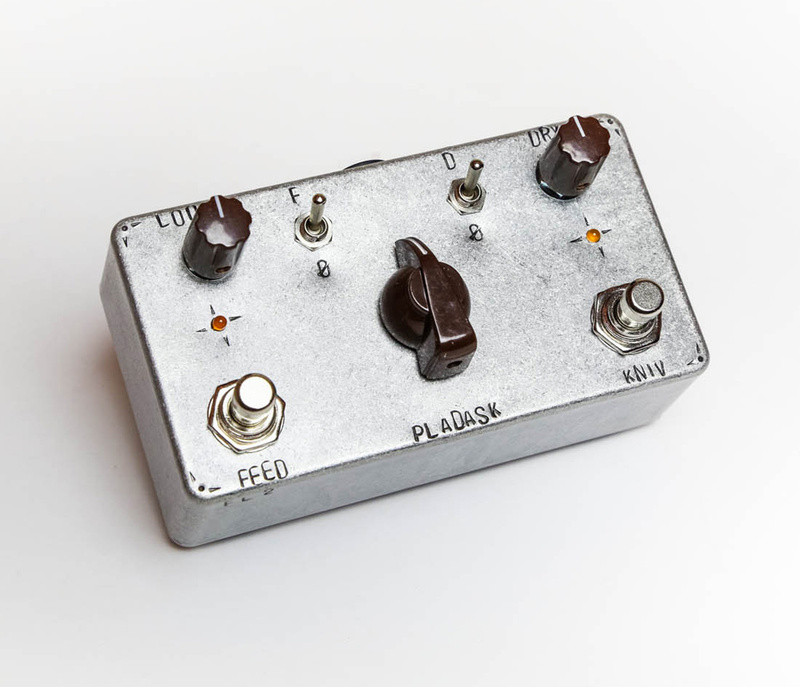 KNIV is a powerful active signal router consisting of a bypass looper with clean blend, and a feedbacker with expression pedal capability. The circuit utilizes a charge pump to increase the supply to 17V, in turn increasing the headroom. Additionally, I’m also giving away a 15′ Custom Cable with Nickel Neutrik Plugs from Rattlesnake Cable Company. You pick the weave color, cable type and plug configuration! Total retail value of this give away is $230! Now before I get to the give away, I would like to send out a special “thank you” to the awesome dudes at Pladask Elektrisk. Please take a moment to follow Pladask Elektrisk on Facebook and Instagram! This give away ends on October 30th at 11:59PM MDT, so you only have a few more days to get in on the action. Don’t miss out on this one people!